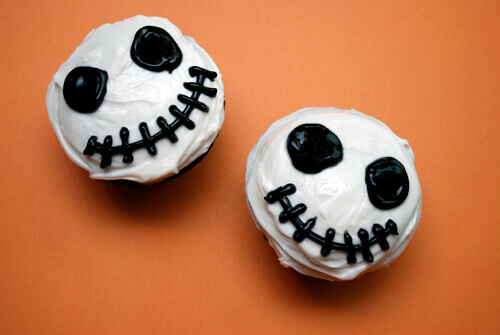 Great tips on how to be creative and spooky with the Halloween Cupcake, from tools you will need to dual purpose candies: skeletons, monsters and more! This post is fast becoming a tradition here on my blog. 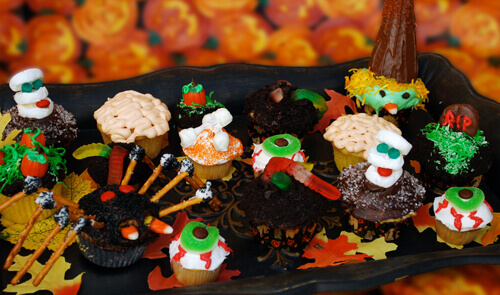 Every year I scour the internet for ideas and then decorate some Halloween themed cupcakes. 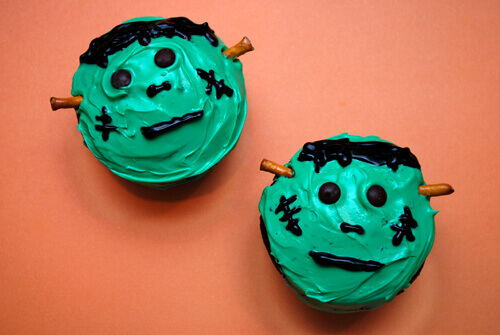 My first post, Halloween Cupcake Decorating 101, is one of my most visited posts so check it out, too. Remember, I’m not a dessert blog or an expert cake decorator. I look for decorating techniques that anyone with 10 fingers can easily put together. 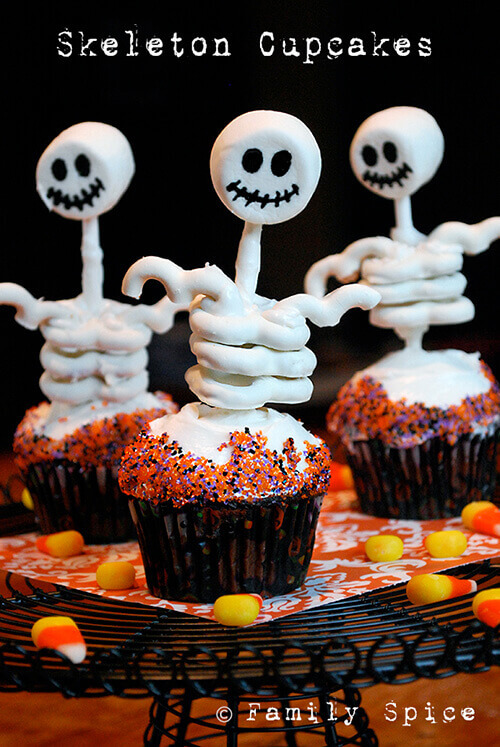 The most involved cupcake in this post is are the skeletons featured on top, originally featured in Woman’s Day Magazine. You use a large marshmallow for the head, decorated with edible markers (the ink, not the pen!). The spine is a lollipop stick. 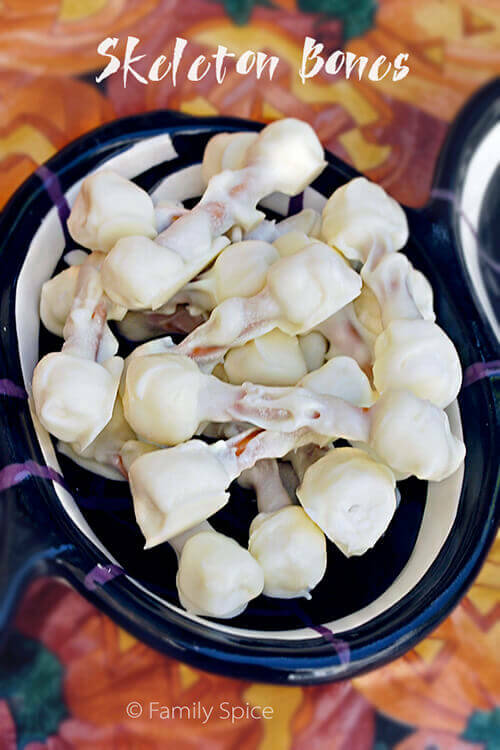 The ribs are yogurt covered pretzels (or white-chocolate covered pretzels). And the arms are the yogurt covered pretzels cut in half, only using the top half. Everything is connected with white frosting. Just colored frosting with a tube of store-bought black icing. First frost the cupcake with white frosting and place two M&M; eyes. 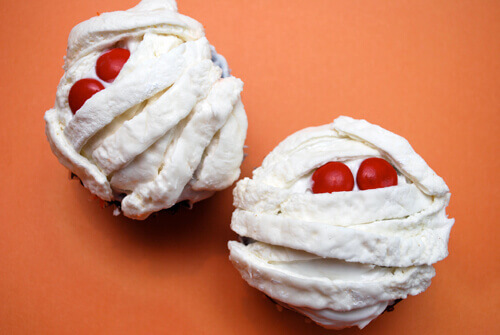 The real trick to these mummies is to roll flat large marshmallows with a rolling pin and then cut your mummy strips with a sharp knife. My marshmallows were a little old and turned a bit lumpy. Whoops. Use powdered sugar to keep things from getting too sticky. 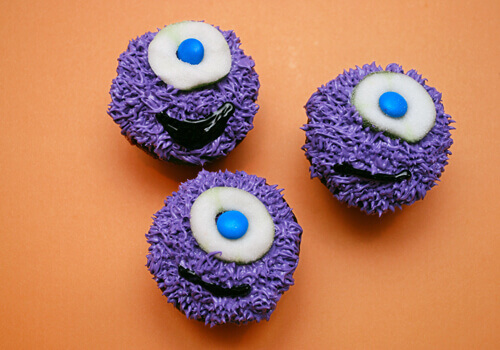 First you decorate the entire cupcake with purple hair (Wilton tip#233 ). Then you place a sour apple ring where you want the eye to be (green side down) and place an M&M; in the center hole. Use black icing for the mouth. Mostly frosting and black icing with pretzel rods. love the skeletons, mummy, and one-eyed monster especially. cute cute cute! I want to share some pumpkin cupcakes that I just made. No tutorial but very easy to explain. I just topped a mini cupcake with a donut hole. I iced it with orange icing and rolled some in orange sprinkles and some in coconut that I dyed orange. These are all great ideas! 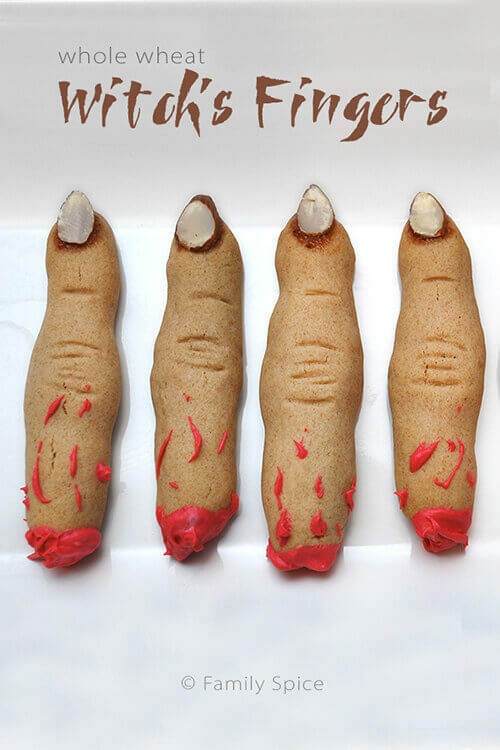 I see you made some cookie witch fingers which are awesome! I just made a spicy cheddar version last week! I love it! 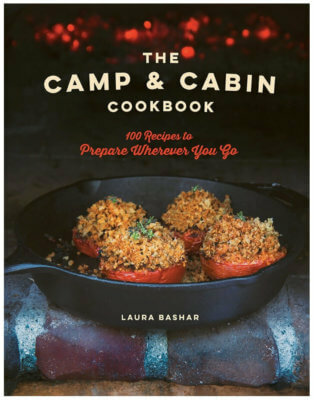 such creative ideas and a wonderful bloggy tradition! Thanks!